Celebrities are constantly under a great deal of pressure to always be perfect. They are the focus of news all over the world, their airbrushed faces grace the covers of magazines in every grocery store checkout lane, and social media is continually abuzz with their latest tweets, hijinks, and Instagram shots. But, have you ever stopped to think about what they looked like before they were rich and famous? We’ve gathered 14 of the purest, sweetest, most hilarious photos of your favorite stars before they became household names. You won’t believe number 8! Now, sit back, relax and get a load of these great photos! Who would have ever thought that this sweet looking girl next door would have become the ultra-famous celebrity she is today? No doubt she had the talent early on, but take a look at her backward ball cap, fresh makeup-free face, and sweet white tank. She’s just a girl in the world. 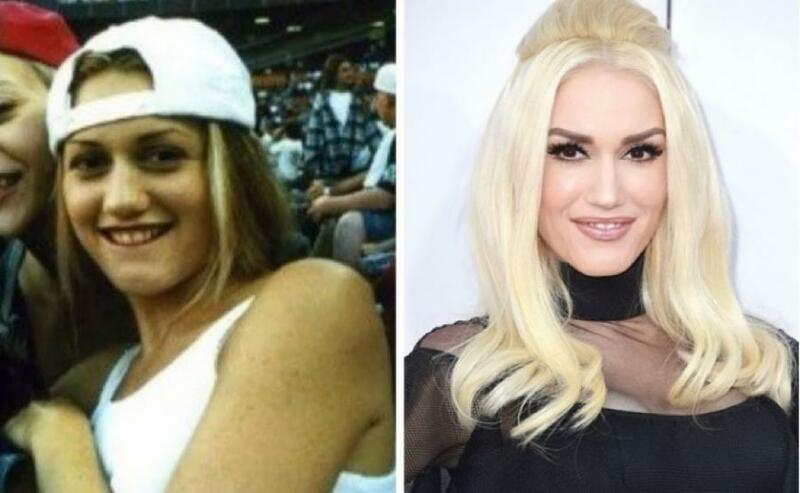 This may be one of the most extreme transformations. Here is young Shakira with her very dark hair before she could afford million dollar hair treatments and a makeup artist. This Colombian bombshell always knew she wanted to perform and began writing songs at the tender age of two years old! 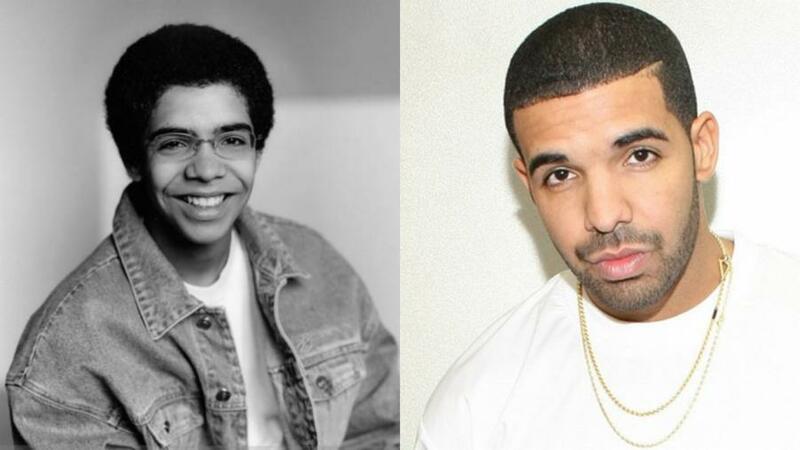 Drake came from humble beginnings and with the help of his good looks, amazing talent, and charm he rose to become one of the most well-known rappers in the world. Take a look at this cutie pie before he was the coolest guy around, though. He’s got those wire-rimmed glasses and that silly smile is ear to ear! 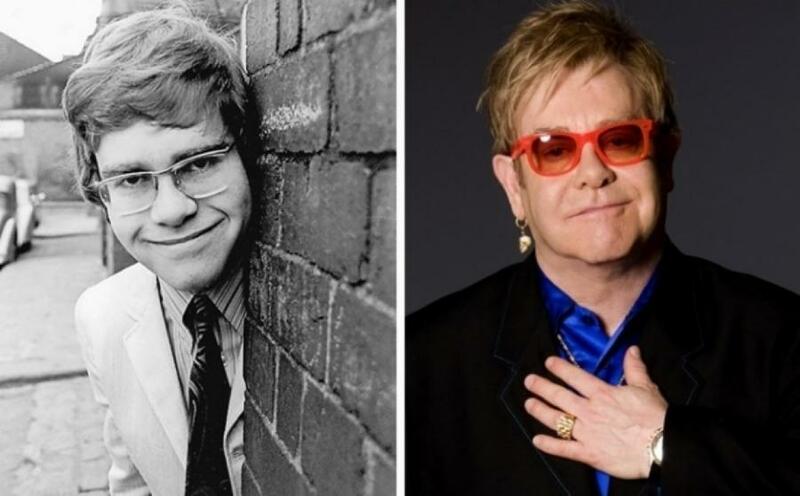 Though Elton John’s parents tried to encourage him to pursue a more conventional career path and were pretty strict during his childhood, no one could squash that natural aptitude he had for music and entertaining. Born Reginald Kenneth Dwight, he got his start at the piano at the young age of three and the rest is history. Get a load of this fresh-faced beauty! 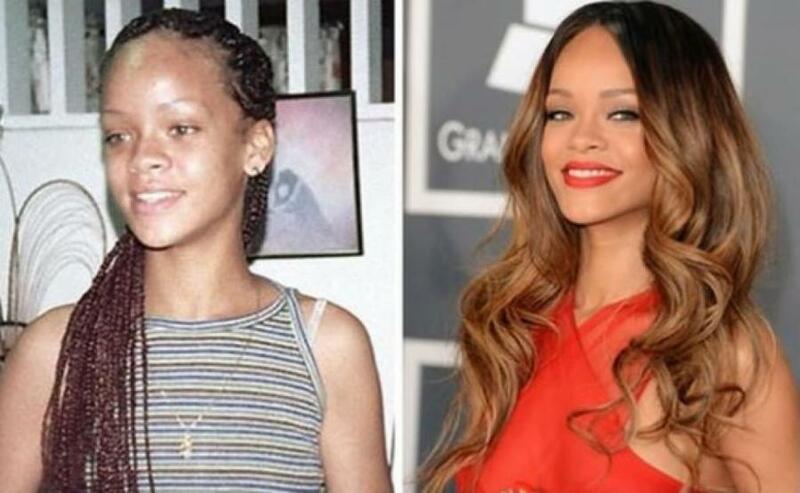 Here is Rihanna in all her teenage glory, wearing spaghetti straps and long braids. Today, we know this bombshell as being one of the sexiest women alive. She also has collected quite a few awards during her 12 years of performing, including eight Grammy Awards, 12 Billboard Music Awards, and nine American Music Awards.